At the Threshold of Alchemy is a brutally realistic book of poetry. By immersing himself in the particular details of his most meaningful moments, John Amen transforms hurt into poems that are both imagistic & lyrically expressive. With metaphoric daring and offbeat grace, he guides us through haunting and sometimes violent memories of roving through America’s southland. Includes the major 260 line poem-sequence “Portraits of Mary,” hailed by poet Jared Smith as “perhaps the most complex, intricate, and thoroughly honest love poem in all of contemporary poetry.” Holding a compass below the stars, his surreal imagery unfolds like origami. 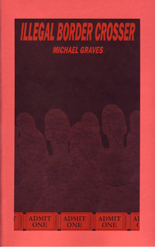 A thoroughly human book of memorable poems of great intensity by one of our best younger poets. world as he draws mythological and Biblical references, entwined with wild memories of roving through America’s southland. There is a memorable and intense beauty in these poems, and their excitement deserves an attentive audience. THOMAS LUX writes of John Amen's debut collection: "Christening the Dancer is an intense, vivid, and stunning first book. " John Amen is the author of three collections of poetry: Christening the Dancer (Uccelli Press 2003), More of Me Disappears (Cross-Cultural Communications 2005), and At the Threshold of Alchemy (Presa 2009), and has released two folk/folk rock CDs, All I’ll Never Need and Ridiculous Empire (Cool Midget 2004, 2008). His poetry has appeared in various journals and anthologies, including, most recently, Rattle, The New York Quarterly, The International Poetry Review, Gargoyle, and Blood to Remember. He is also an artist, working primarily with acrylics on canvas. Amen travels widely giving readings, doing musical performances, and conducting workshops. He founded and continues to edit the award-winning literary bimonthly, The Pedestal Magazine (http://www.thepedestalmagazine.com/). JIMMY SANTIAGO BACA describes Amen's second collection, More of Me Disappears, as "chock full of electric lines that sting the senses." 10/09/2009. Workshop and reading in Modesto, CA Workshop, 6-7PM; Reading, 7:30-8PM, followed by open mic. Horizon Room; Homewood Village Mobile Home Park; 2000 Mable Ave; Modesto, CA. 209.522.1412 To reserve for the workshop and/or get additional info, contact Cleo Griffith by phone: 209.543.1776 or by email: cleor36@yahoo.com. 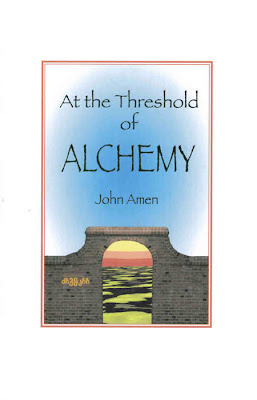 The cost for the workshop is $20 and includes a copy of John's new collection, At the Threshold of Alchemy. Best of Stain 2 Now Available! HAIGAONLINE's Autumn Gallery now online!